Beautiful extremely healthy can't wait to see how that develops! Broome Sedge - Carex Bromoides. The Brome Sedge features a dense growth of leafy culms that are light to medium green. The blades range in size from 3 to 9 inches long. 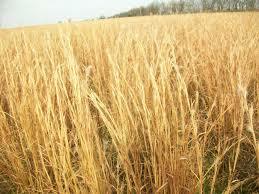 The Planting Zones for the Brome Sedge are 3 to 7 and grow best in moist soil. The plant can thrive in areas of partial sunlight and light shade. 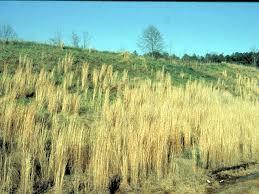 Broomsedge is a beautiful perennial burst of color that has grown wild in fields and pastures for generations. However, once it was discovered how easy it was to develop and what an excellent soil is stabilizing plant it could be, it has become a staple in dry areas. What is even more fantastic is that it does remarkably well in wet areas, also, making it a beautifully colored plant for any landscaped yard or garden. Animals do not seem to like the taste of it, so there is virtually no worry in deer or others eating them down. This clump-forming, warm season grass has a gorgeous golden yellow color in the spring and warm reddish-tan color in the fall and winter. Even though the plants do spread, clumps can be divided in the fall/winter and added to new spaces to add even more color to your garden areas. It can flourish in almost any environment. Florists have discovered the natural beauty Broomsedge and frequently add to flower arrangements which add an incredible color. This is a simple and easy plant that can add elegant beauty to your home. Brome sedge is a small grassy perennial plant. Broome Sedge is native to the United States, so it grows very well here.